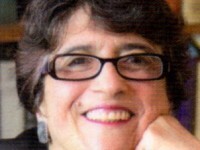 Julia Schopick will appear on the Waves of Healing radio show on 8/20/13. Julia Schopick is the creator of the award-winning blog, HonestMedicine.com, and has been a published writer and a public relation consultant for more than twenty years. When her husband Tim Fisher became ill in 1990 with a cancerous brain tumor, Julia became his medical advocate and began writing on topics relating to health and medicine. Her articles and columns have been published in numerous publications, including American Medical News (the AMA publication), SEARCH (the newsletter of the National Brain Tumor Foundation) and Alternative and Complementary Therapies. Julia’s work and essays have been featured in many other publications, as well, including the British Medical Journal, Modern Maturity and the Chicago Sun-Times. 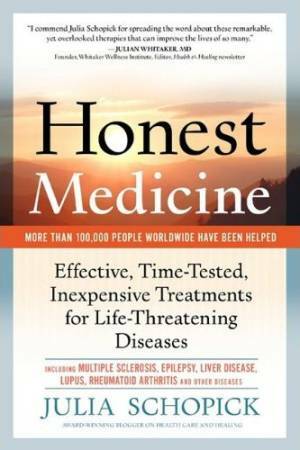 Her mission is to use her writing and public relations skills to inform the world about effective, time-tested, inexpensive treatments for life-threatening diseases through her website, her presentations and her recently published book, Honest Medicine—and overall, to empower people in their health choices. Julia has appeared on numerous radio programs nationwide, including the very popular Coast to Coast AM and Dr. Ronald Hoffman’s WOR710AM show, “Health Talk.” Honest Medicine has received glowing testimonials from several integrative physicians, including Julian Whitaker, Jacob Teitelbaum, David Brownstein, Jeffrey Dach and Ronald Hoffman. 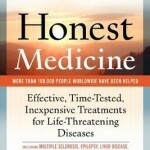 More about her media appearances and book reviews may be found at http://www.honestmedicine.com/media.html.